Urban Investment Partners (UIP) of Washington, D.C. has appointed George Scott Director of Capital Markets. In this position, he is responsible for managing and overseeing debt and equity relationships for UIP’s acquisitions, dispositions, and refinancing transactions. Scott joined UIP from Real Globe Advisors of Chicago, IL, where he served as Director. Before that, he was a Senior Manager in Ernst & Young’s Transactional Real Estate practice. He also has worked for The Greenwood Group, Morgan Stanley, Macquarie Capital Partners, and Utendahl Capital Partners. 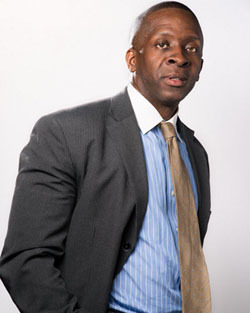 Mr. Scott holds a bachelor’s degree from Morehouse College and a Master of Business Administration degree from the Kellogg School of Management at Northwestern University. Founded in 2001, the UIP family of companies is a leading real estate investment, development, and property management firm based in Washington, DC. The firm invests opportunistically in a variety of asset classes, with a primary focus on multifamily properties in select neighborhoods. Since 2001, UIP’s principals have sponsored real estate investments throughout the DC metropolitan region with a total valuation of over $400 million. For more information about UIP visit www.uipllc.com.